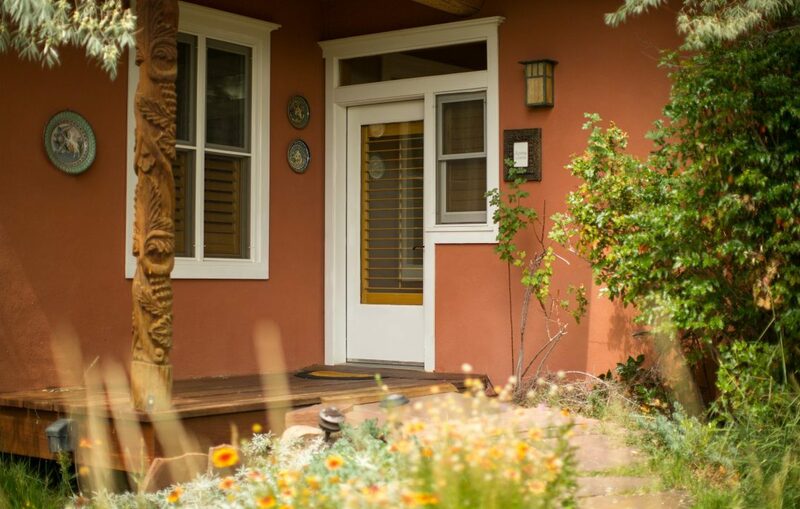 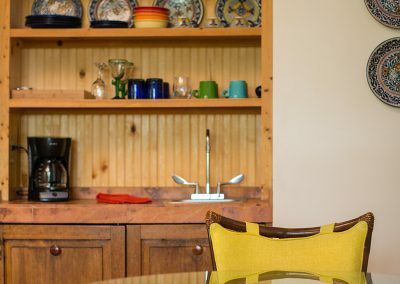 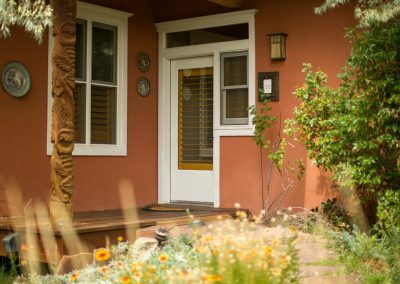 The Sunrise Casita welcomes guests with the warmth and charm of Southwest style. 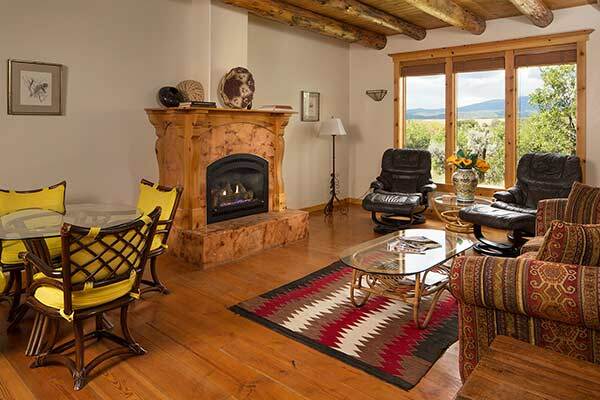 Hardwood floors and locally harvested cedar beams invite you into the spacious living area. 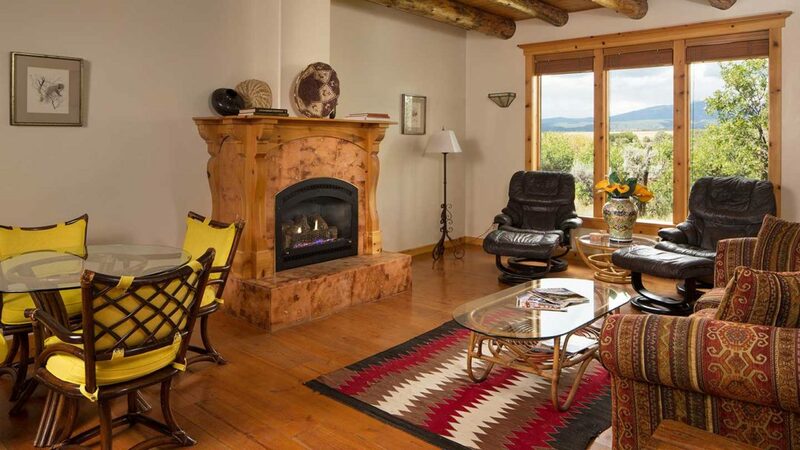 Here, you can curl up on the plush sleeper sofa in front of the gas fireplace and enjoy spectacular views of the La Plata Mountains. 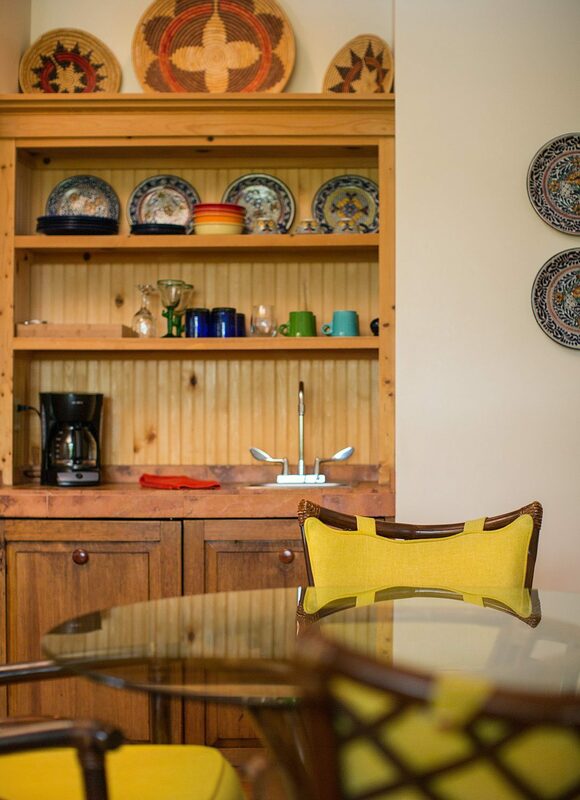 The Sunrise Casita is the perfect place to relax with the family, look at the mountains, and enjoy the spacious living area. 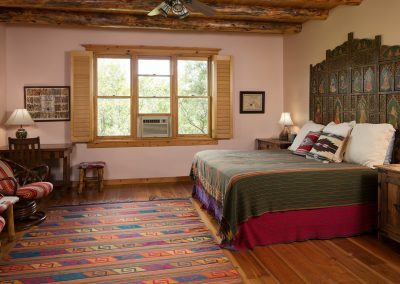 The king bedroom features a luxurious pillow-top mattress and antiques from local trading posts. 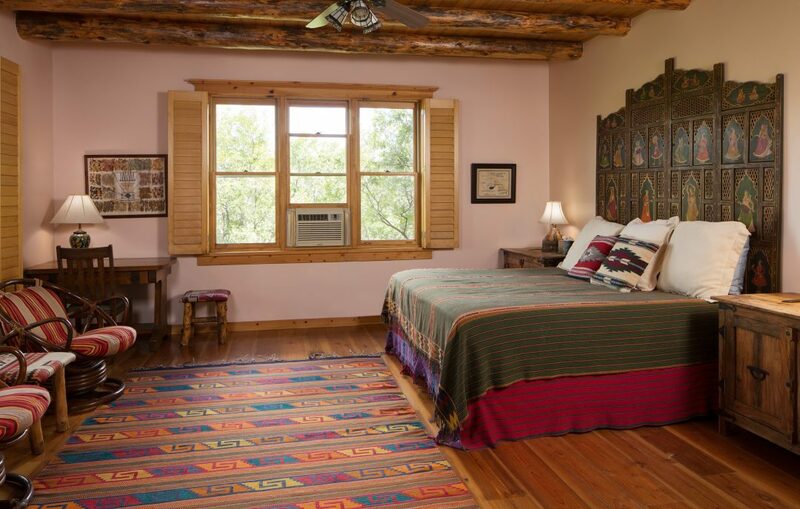 The bedroom is also equipped with the same phenomenal view of the La Plata Mountains. 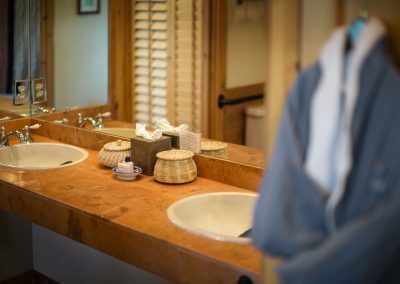 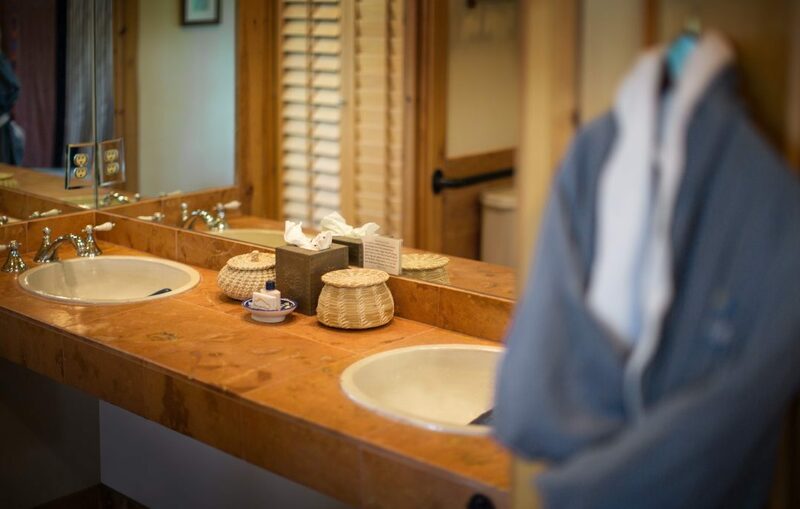 The luxury of the casita continues in the spacious bathroom with a large jetted tub, double sink, and a large walk-in shower. 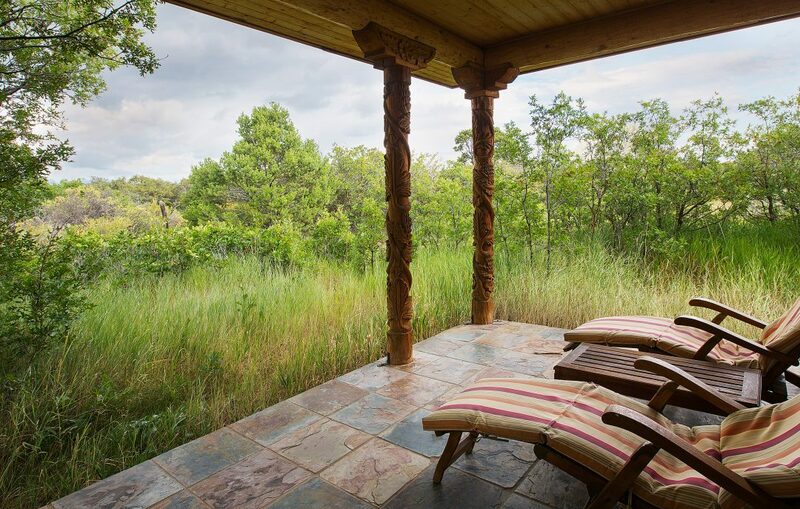 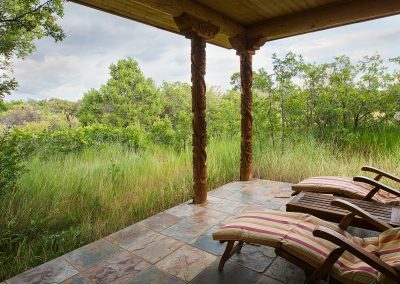 On the private covered porch, guests can enjoy a glass of wine or a cup of coffee while taking in views of the Blue Lake Ranch grounds. 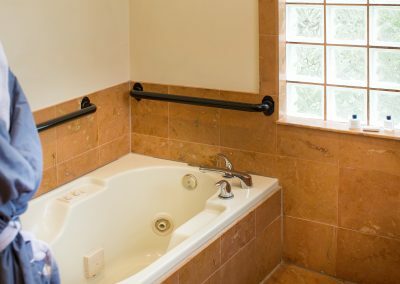 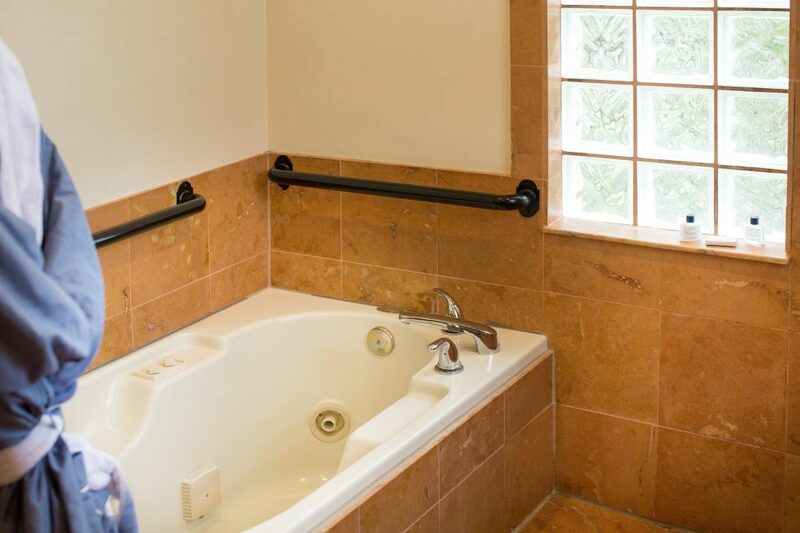 The Sunrise Casita is ADA compliant and can accommodate up to four guests.